It's never too early in a child's life to sign up for Summer Reading! But how can babies, toddlers, and preschoolers participate in Summer Reading, when they can't even read yet? Well, we're glad you asked. Visit any Free Library of Philadelphia neighborhood library and sign up! Your child's name will be recorded on a special bingo card loaded with fun activities and reading suggestions. Each time you complete an activity, either in the library or at home, you get a sticker on your bingo card. Get bingo to win a prize! And don't forget to ask for a calendar of programs that your child will love, from storytimes to magic shows to yoga time. You can also check our online calendar of events. Go to our Summer Reading page to sign your child up today! Complete Learning Tracks, specially designed for young children, to earn virtual badges. Also view book and app suggestions with learning tips. Log the books that you read together and work together to write book reviews. We hope to see you and your little ones in the library this summer! 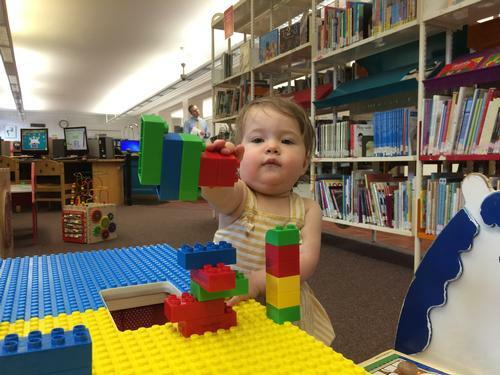 Add a Comment to Summer Reading is for Babies!